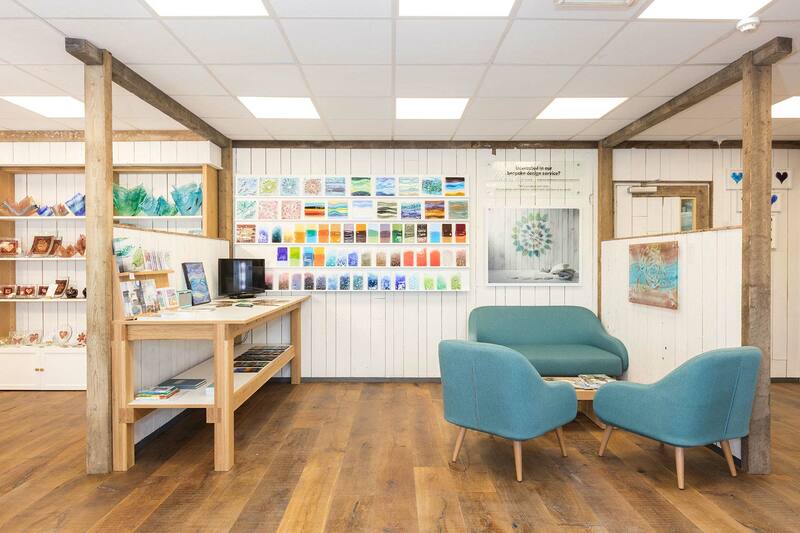 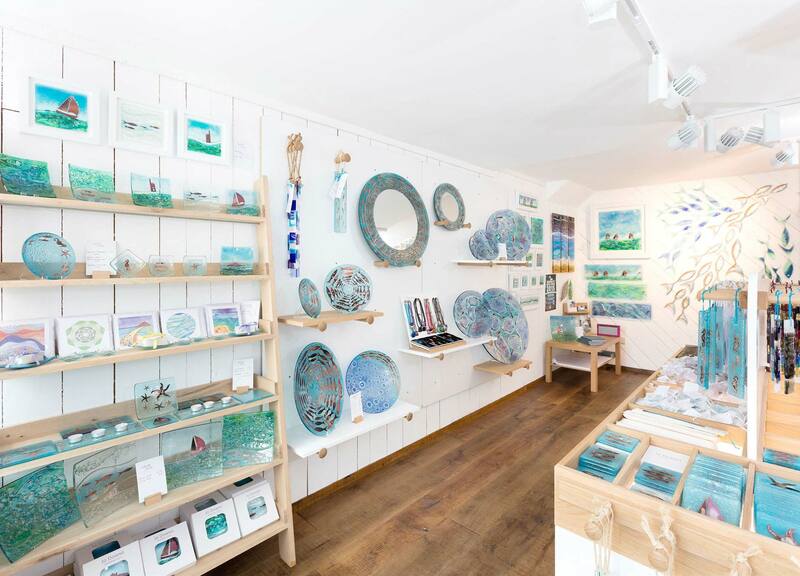 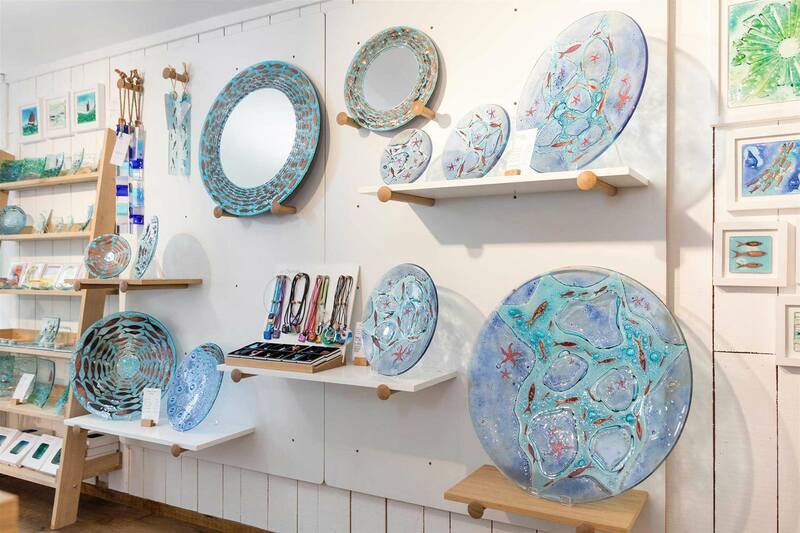 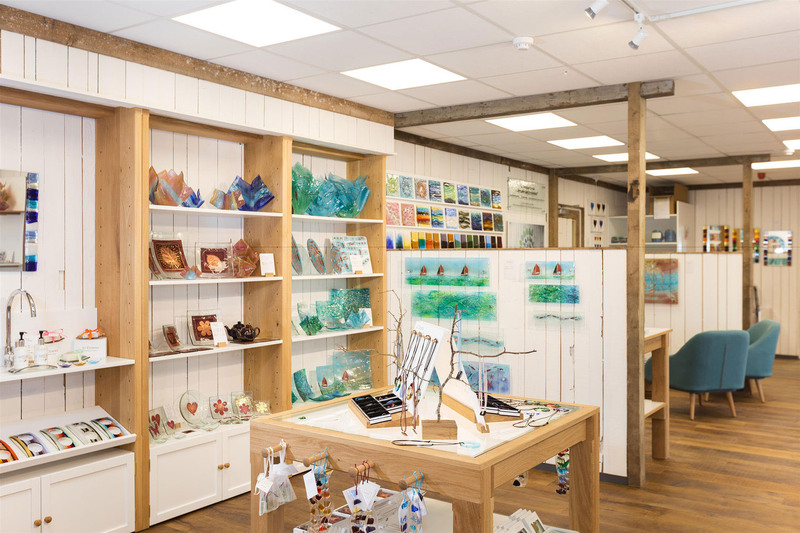 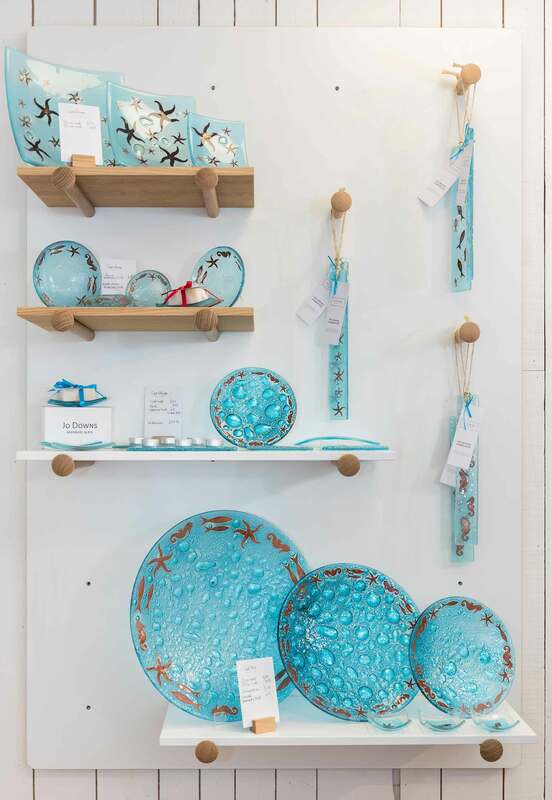 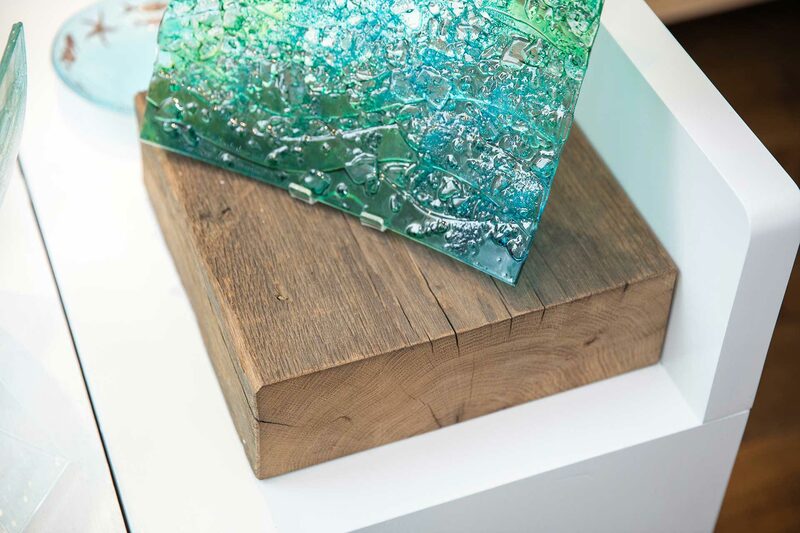 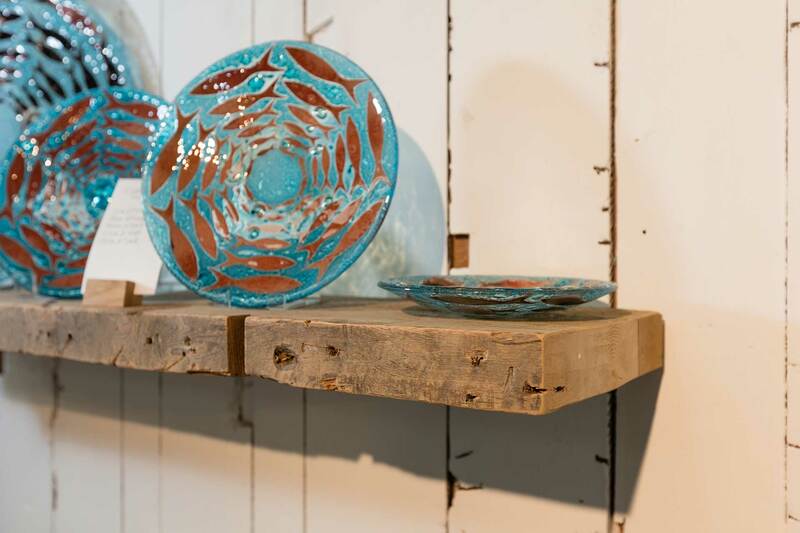 Design and refit of 4 flexible gallery / retail spaces across Cornwall displaying artisan glassware. 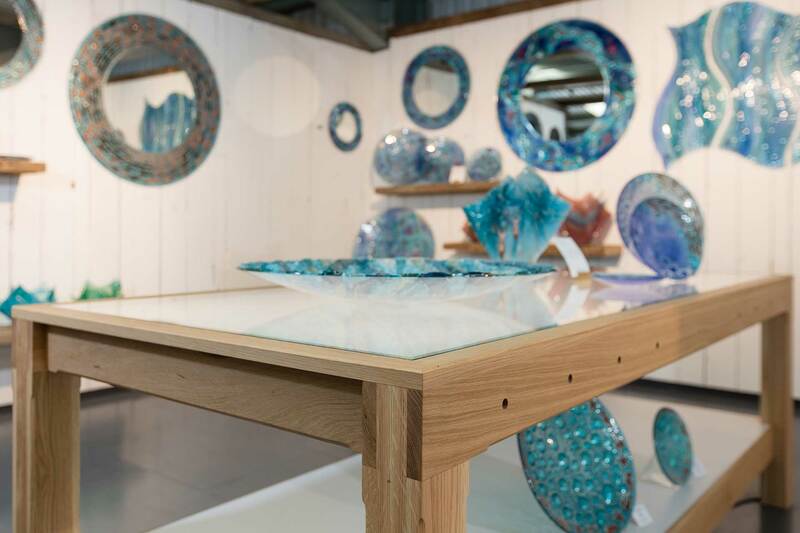 The design requirements for these galleries were quite specific, the products themselves having specific requirements in the way that they are best displayed. 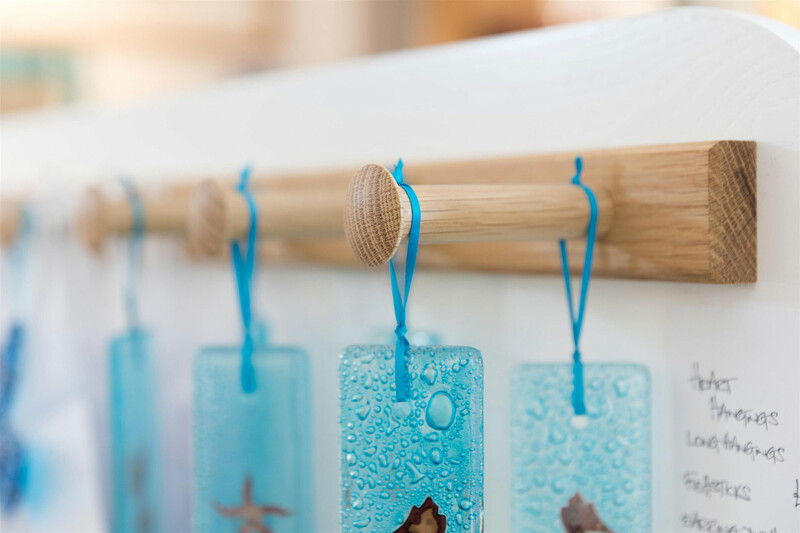 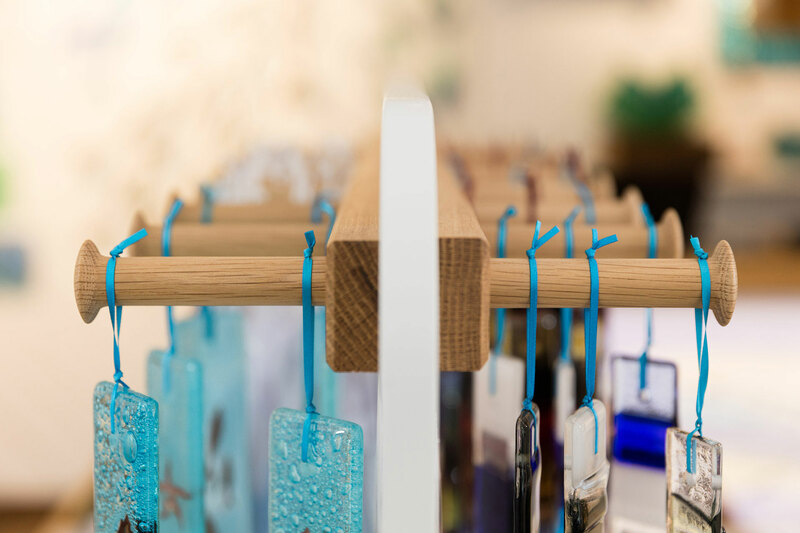 Using reclaimed cladding and oak joinery to give a ‘beach house’ feel, we came up with a bespoke twist on the classic retail pegboard – this time creating our own but with hand turned oak pegs that are strong enough to hold, and aesthetically complementary to the glasswork itself. 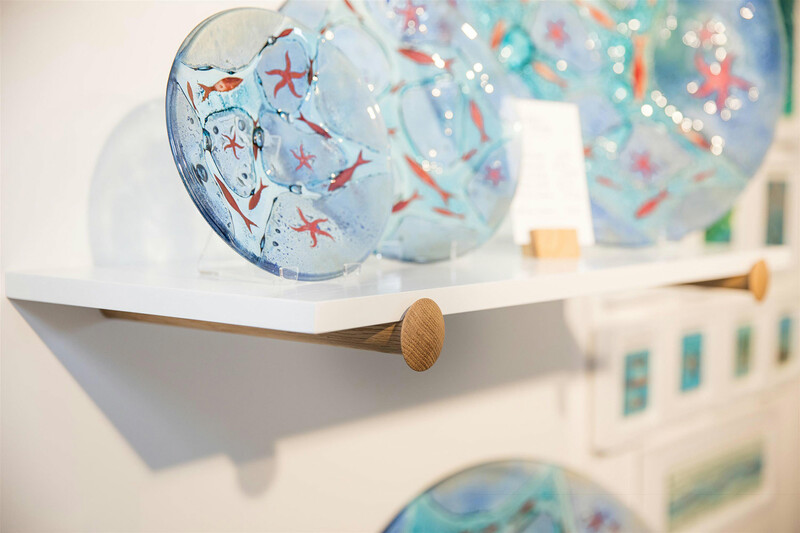 It also lends flexibility to an ever changing display.